organisations of its kind in the UK and has around 1,750 households in membership. Our volunteers give their time to represent the interests of the local community. Thanks go to Mary Whiting who updates the MTL and to Steve Morris for his technical wizardry. relevant authorities on conservation, our wonderful green spaces and on road and traffic issues. 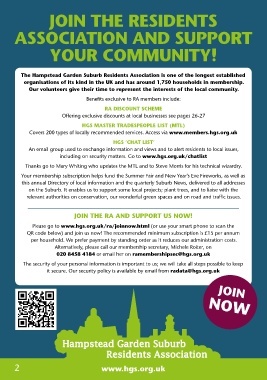 JOIN THE RA AND SUPPORT US NOW! per household. We prefer payment by standing order as it reduces our administration costs.